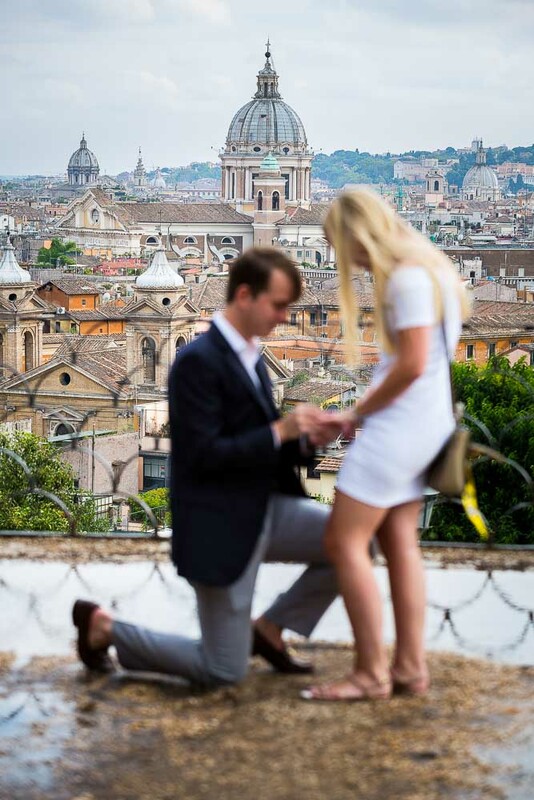 A beautiful wedding proposal photographed from a distance at Parco del Pincio in the heart of Rome Italy. Worked out perfect even with the weather which at times gave some worries! 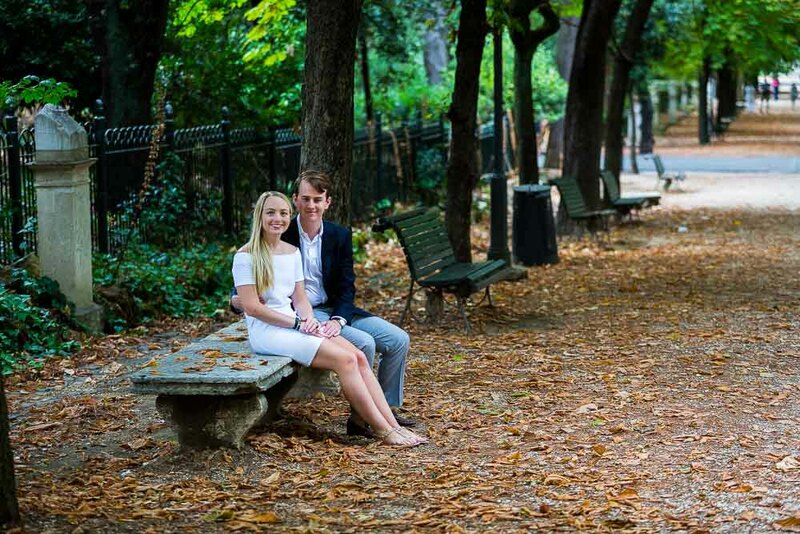 After the great surprise we took time for a nice stroll in the Villa Borghese park to capture some nice engagement images in different settings. From nice strolls in the park to unique portrait pictures with Saint Peter’s cathedral in the far distance. 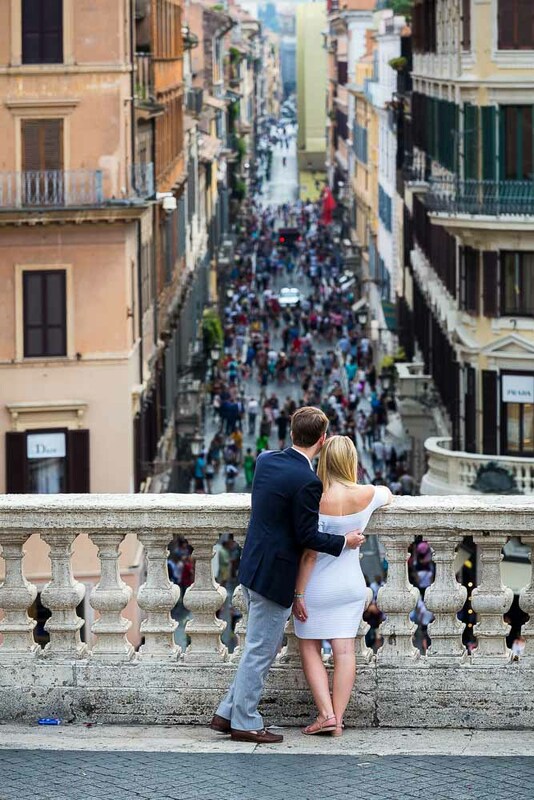 Then it was time to head over to Piazza di Spagna where we continued with the photography session by taking photos in some very panoramic spots that are found walking along in between. Then we visited square Trinita’ dei Monti and continued on by descending the steps leading into Via Condotti. Photographed from a distance with lead away lines of all the visiting crowds. 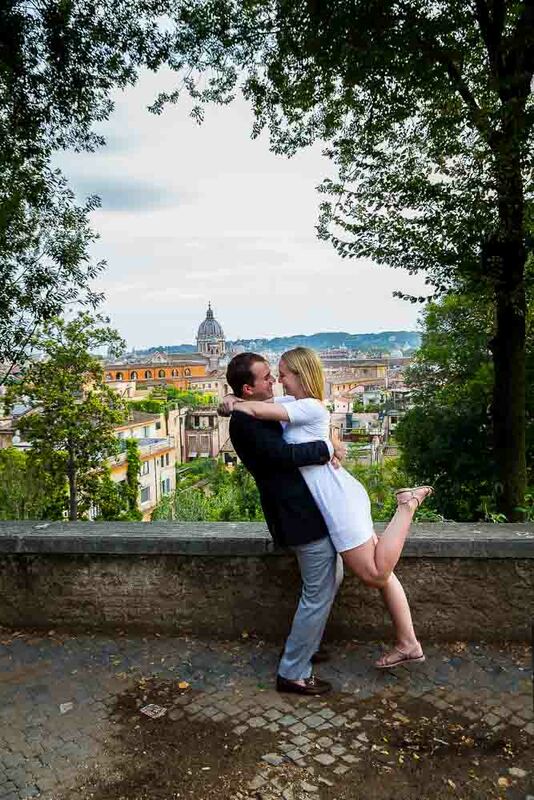 Then we descended all the way down to the Barcaccia water fountain where we concluded the photo shoot with one last romantic picture! 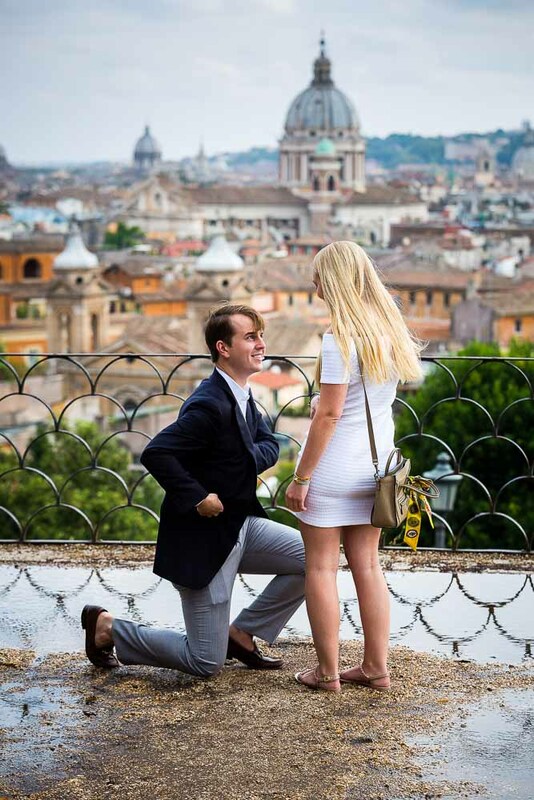 Asking the wedding question overlooking Parco del Pincio. The perfect yes celebrated around the area taking unique and romantic engagement pictures.